Board games are popular past time activities that are enjoyed by many participants. They are mostly participated by family members or friends. Playing board games is a great leisure activity for all ages. However, playing the same board game over and over can get boring sometimes. So it would be a nice way to reinvent and create a new board game that is new and fun for the rest of the family members and friends. You need to set up the theme first before you can continue to set up the board. There are basically a lot of different types of board games. Two of the most common types are the luck game or a word game. 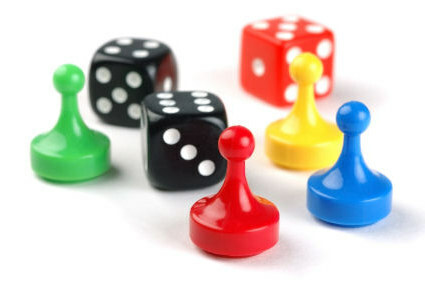 The luck game is one in which the first player who will reach the finish line of the board game becomes the winner while the word game is one in which whose winner has the highest number of words created. There are also board games that focus more on strategies and others are quiz board games. Try to choose which will be enjoyed most by the people who will join the game. Once you have established the theme and the kind of board game to create, the next step is to set the ground rules. Rules depend on the type of board game being used. It is best that the rules are well planned out so there will be no confusions and conflicts. After the rules are set, it is time to get the cardboard and apply the design theme. Use the pencil in order to mark spots on the board. Take those picture cut outs and arrange them on the board according to the strategies and scoring system. Use the glue to stick the pictures. After the game system is set, prepare the dice, tokens, small dolls, cars and soldiers and place them on the starting line. Make sure the dolls, cars and soldiers are small enough to fit the board. Take turns in throwing the dice and enjoy your very own board game.